The wind and thick cloud is sweeping in now for the day and the sun is gone, but a moment of goldenness at a street nearby. 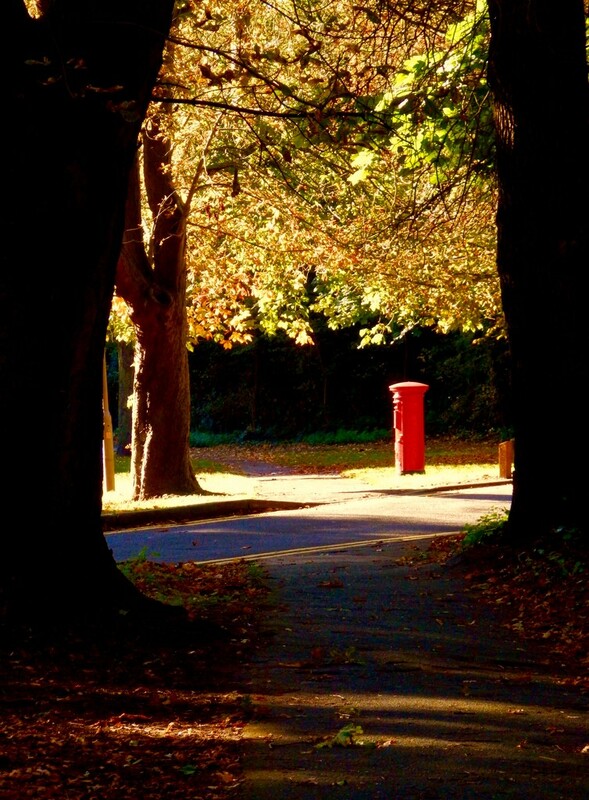 I always love the view down this particular avenue of trees and the red post box sitting in a patch of sunlight just beyond their shadow. Beautiful capture. Great composition, light and framing. Wonderful lighting on the postbox. Like your framing for this great shot. Lovely to see an old-fashioned post box. It looks quite majestic in the sunlight. Spotlight on the post box. Well caught. Fav for me. Nice light capture. Love how the light is shining on the postbox, really bringing that red to life.